নতুন আশা | A spirit of hope holding to get high pitch. | Page 2 নতুন আশা – Page 2 – A spirit of hope holding to get high pitch. A spirit of hope holding to get high pitch. World Blood Donor Day was observed on 14th June at Namrup MPHC in association with Naharani Block PHC. Current year’s theme for the event was ‘Be there for someone else. 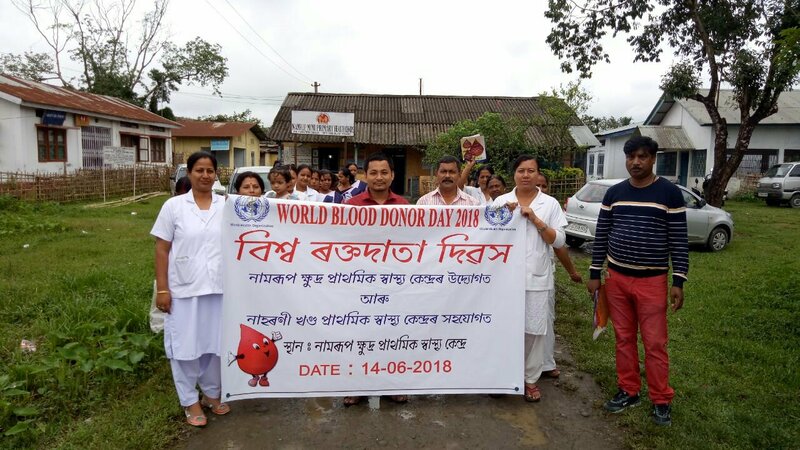 Give blood, share life.’ To mark the occasion an awareness session was held which was conducted by Jayanta Dutta, Health educator,Namrup MPHC. Dr. Bidyawati Sonowal Senior Medical Officer Naharani BPHC remained as the resource person. She added in her speech about the necessity of voluntary blood donation and benefits of blood donation. 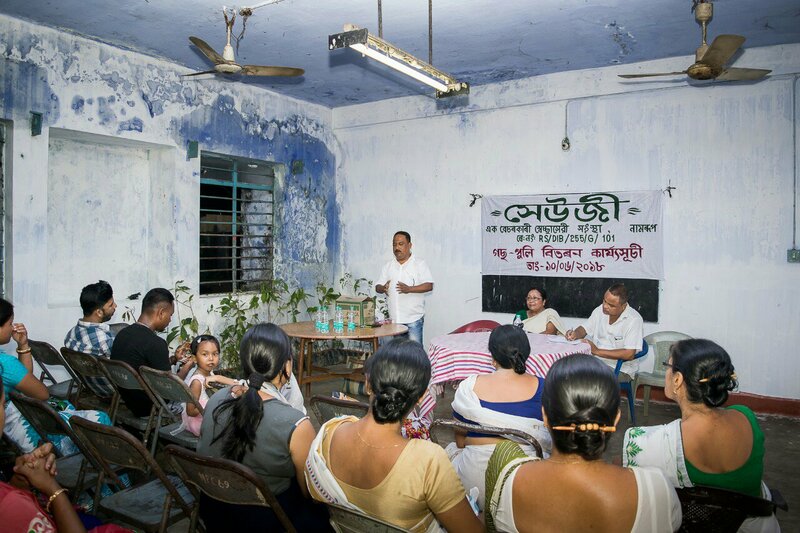 While Jayanta Dutta in the session spoke to the Asha workers and ANM nurses,and told them to encourage people for blood donation. 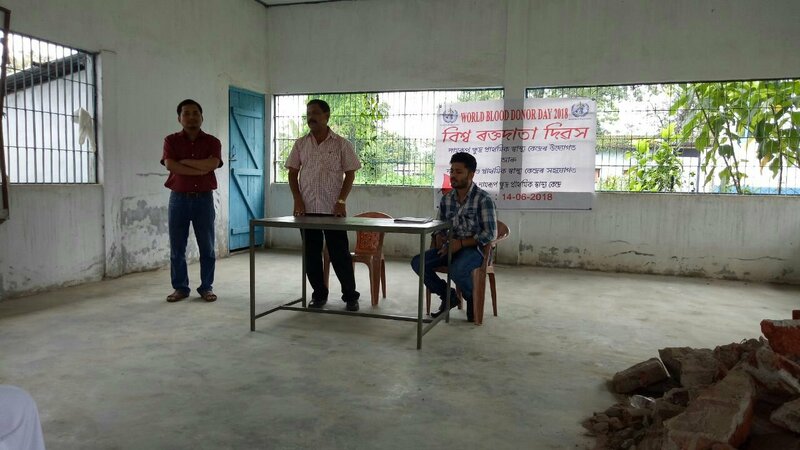 Mintu Sonowal, multipurpose worker, Naharkatia SD, advised the Asha workers to list out the eligible blood donors in their operating village and help the needy. Anshuman Dutta a resident of Namrup also shared his experience being a voluntary blood donor. The awareness session was then followed by an awareness procession in the presence of Nasir Ali,ABPM, Namrup MPHC along with Asha workers and ANM nurses. An NGO of Namrup named ‘Seuji’ takes initiative to distribute tree sampling among the people of Namrup. 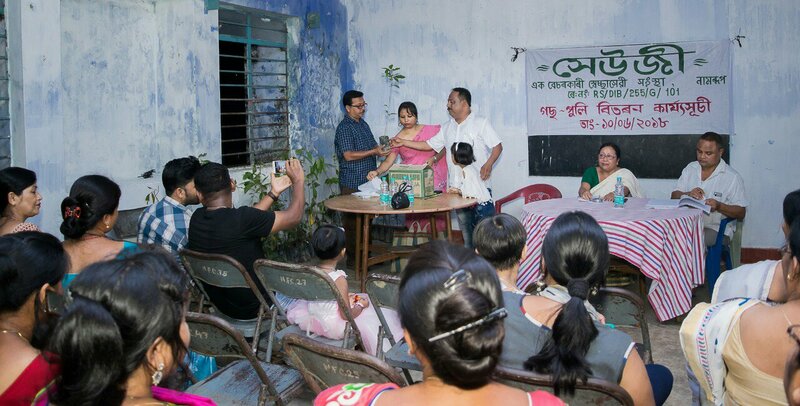 As a mark of this, a programme on tree sapling distribution was organized on Monday along with an awareness session at the Fertilizer staff club. The awareness session held on the occasion was chaired by Anima Deuri, retired teacher of B.V.F.C.L HS School and social activist. The secretary of the NGO Soumin Mahanta elaborated the objective of the meet. He also spoke about the objectives of ‘Seuji’ and said that the NGO would continuously work hard to build a greener Assam through greener Namrup. 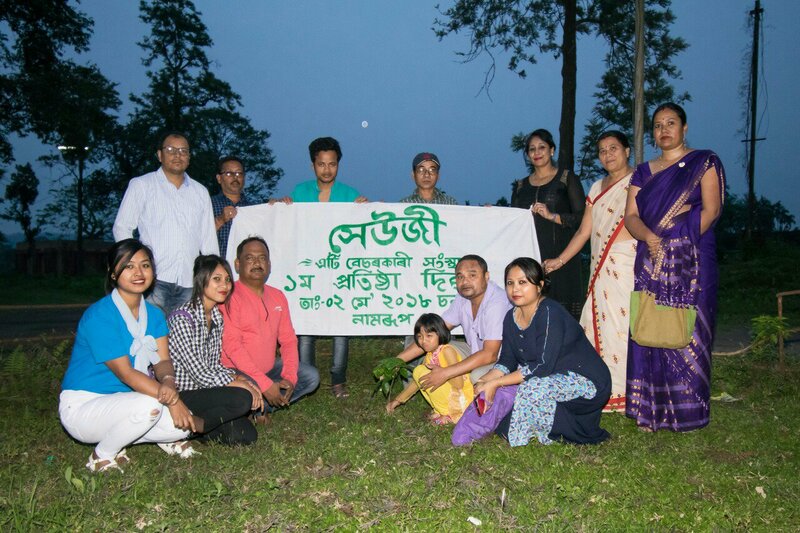 Its to be mentioned that ‘Seuji’ has already distributed more than 3000 saplings since 2nd June to different social-cultural organizations, self-help groups and schools etc. The programme was also graced by the presence of Sisuram Gogoi, president of seuji and also the brand ambassador of the State Forest Department. As part of the year long golden jubilee celebration , the Namrup Sahitya Sabha has scheduled three more glitering programmes in the month of June, July and August respectively.The organising committee of golden jubilee informed that on June 20,a competition on Kolaguru Bishnu Rabha’s song will be held among the competitors of undivided Soraideu and Dibrugarh District. They also added that on July 02 they are organising a five day workshop on ‘Goalparia Lokgeet’ under the supervision of Guwahati radio centre artist Monumeeta Roy. Likewise, ‘Jonaki Mell ‘will be organised on August 19,on the birth anniversary of Parboti Prasad Baruah. For the above mentioned competition and workshop people can contact on 9435282354, 8638785987 and 7896216992. Open letter to organization’s a government. You people are our strength, our hope and inspiration. Your activeness against the society is praiseworthy. Every common people looks at your face to get rid of the problems. And yes you all eagerly come forward for the well being of the society. But in some cases you become so selfish that you don’t even care for the common people. You come forward to do good but you end up getting scolded by the common people. Maybe this happens due to your mismanagement. 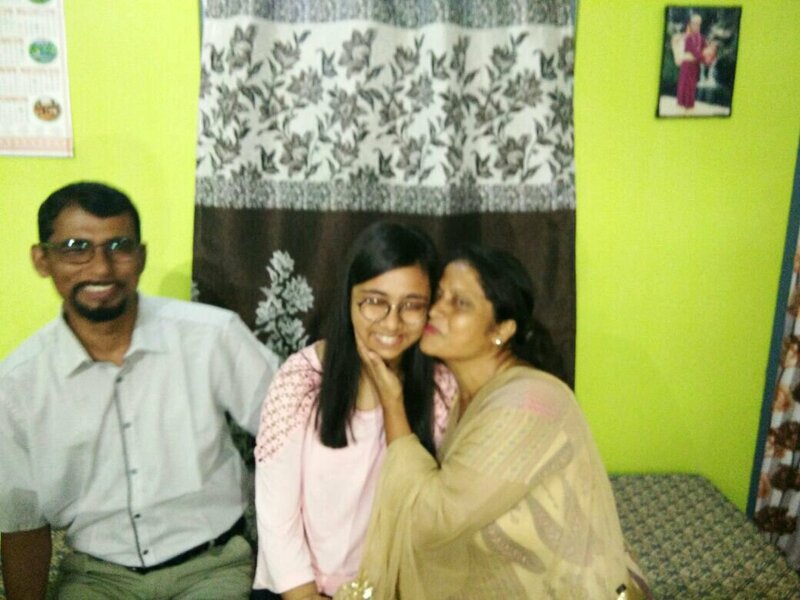 On the day I was in an emergency to go to Dibrugarh for meeting a doctor in AMC. At 6am I went to a winger. After sitting a while the driver said “ we are not going as ……organisation/government is doing requisition of vehicles to bring people to their meeting” After hearing I along with my co-passengers steped out of the winger and went to another vehicle. The other vehicle also travelled a while and repeated the same thing. They told us to go into the bus behind the traveller which is going to Jorhat. I again stepped out of the traveller and went to the bus. During this I heard the drivers speaking, “the organisation/government takes the vehicle for whole day and do not even pay a single penny. How can it be possible for us to simply waste a day. Its better we stop today and enjoy the day” I was very shock to hear that they don’t get paid during such requisition and to get rid of this they are losing their business for the day. Every passenger was in hurry to reach their destination, someone to the doctor, someone to school, someone to their job etc. The bus driver then started driving after going a distance he stopped. All were in shock again, the driver then said that he won’t go. The passengers were then getting angry with the driver and organisation/government. The driver the said that they will take another route and everybody will need to pay 20rupee extra. All agreed to pay but still he was not going. I then came down the bus and asked whether he is going or not. He replied no to me. I remained silent and said nothing. It was 8am and suddenly a traveller came shouting ‘Dibrugarh’ ‘Dibrugarh’. I stepped into it and took a seat. Other people’s also rushed to the traveller and we started our journey. Some people even went back home. So to travel just 1hour we fought for 2hours. So I request all organisation/government, please organise something giving importance to the convenient of people. For your celebration others might not face such hectic situations. A common citizen of Assam. Note: Please don’t take it personally i just shared my thought and experience of the day. A day long event was organized in the Sahitya sabha bhavan of Duliajan under the chairmanship of Jayanta Bhuyan, where achievement of a poet was celebrated. 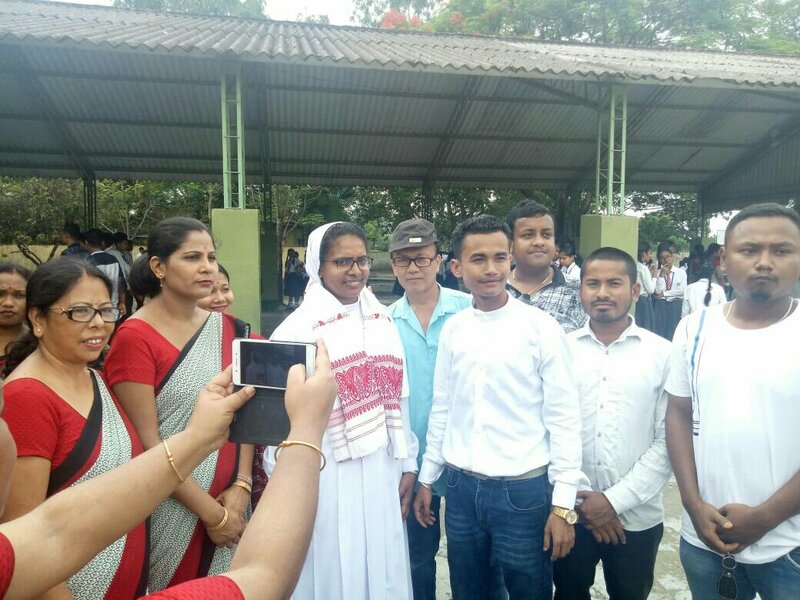 Hridoy Borpujari was able to draft his name in the Assam book of records for publishing his poetry book named ‘Tumaloi Morom’ in a handkerchief. By doing this he tries to bring new trend to the field of poetry writing. The event was graced by the presence of Ram Kumar Salman Karki worker Assam book of records, Karun Jyoti Saikia senior journalist, educationist &writer Dr. Ajit Saikia. 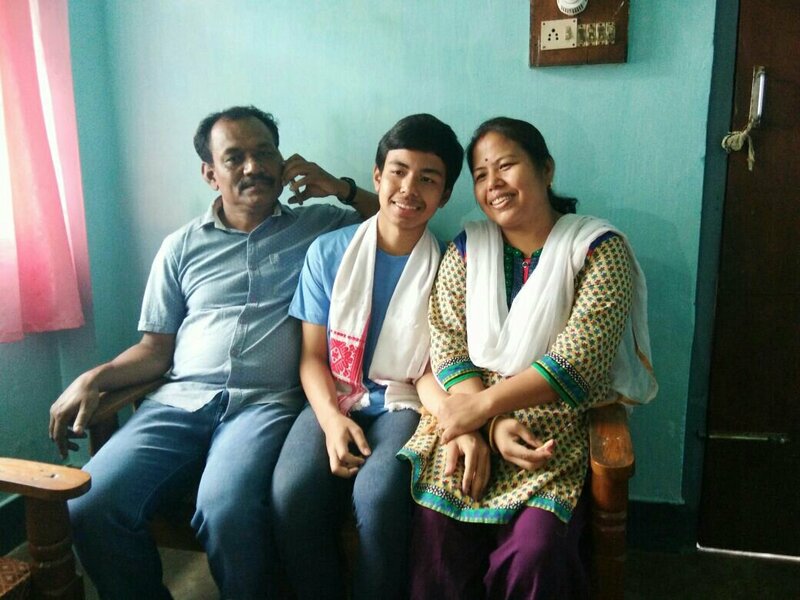 The poet was awarded with a certificate from Assam Book of Records. The poet holding the name Abhijit pathak takes the pseudonym Hridoy Borpujari and keeps writing poems. He is the eldest son of Khudeswar Pathak and Rina Pathak. Hridoy currently works as a junior engineer in the Namrupot Thermal Power plant. 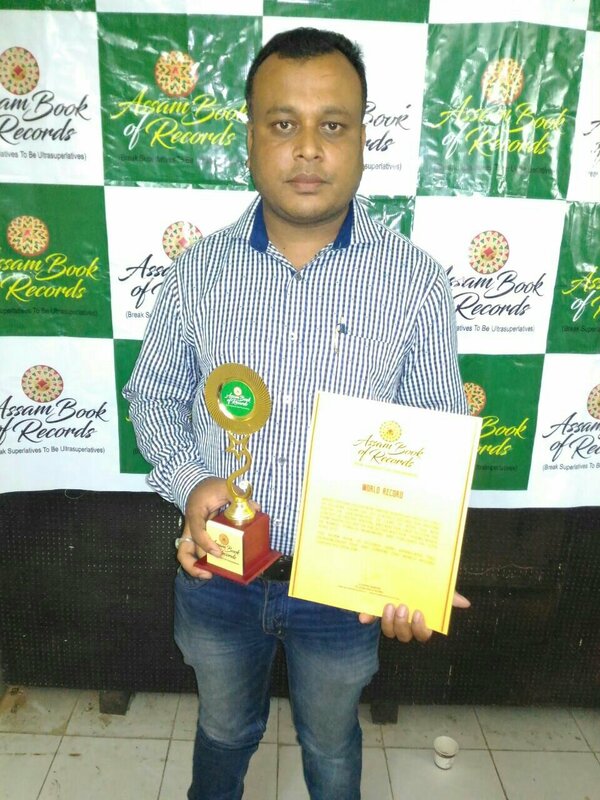 The officials of Assam Book of Records said that they will try to forward the name of Pathak to Limca book of records and guinese book of records. Other personalities present in the event were Prodip Gogoir, Pabitra Borthakur, Madhujya Saikia and Nabin Baruah. Ashish Handique and Sayeda Inaya Tabasumm brought laurels to Namrup again. Keeping the legacy B.V.F.C Model High School achieved the 8th and 10th position in the HSLC examination declared on 25th May. Entire people of Namrup along with the Model School family celebrated the achievement. 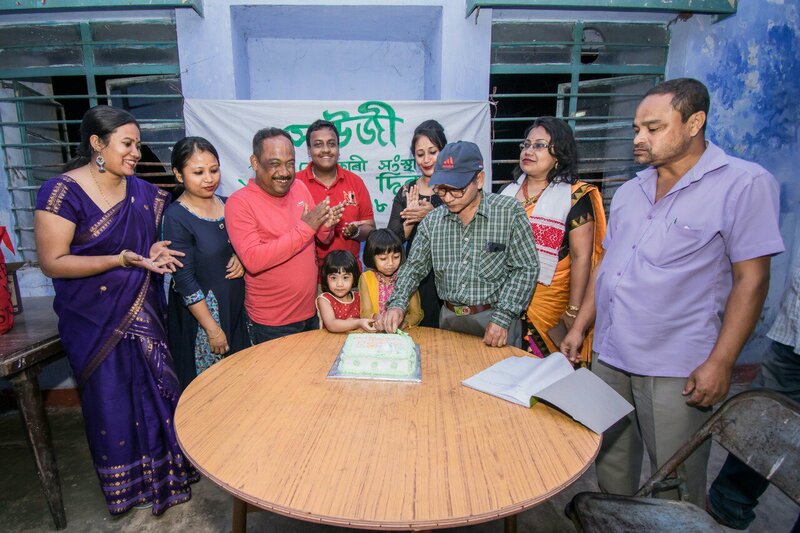 ‘Heuji’ an NGO based in Namrup has celebrated it’s first establishment day on 2nd may in the staff club of B.V.F.C.L. Environment and forest department of Assam has called upon this NGO as the brand ambassador and model campaigner. 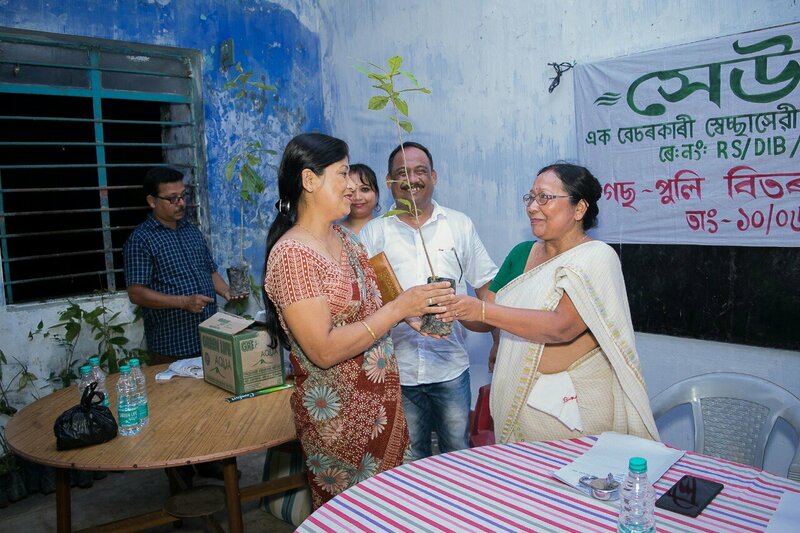 The event was taken forward by Sishuram Gogoi, chairperson of the NGO.The event started with plantation of trees done by small children’s in the club premises. Soumin Mahanta the general secretary of the NGO spoke about the awareness of tree plantation among the children’s. He also spoke about various government schemes and requested the non governmental organizations and masses to join hands together in order to bring the schemes in progress. The chairperson also spoke about the problems faced by the NGO since 2013. He remembered the old days how they worked spending their own money. He also told that in the coming days they will keep working hard. At last Smriti Rekha Kalita the local reporter of Asomia Pratidin was felicitated with a phulam gamusa for recieving ‘pandit surendra narayan goswami memorial journalist award.